Our four favorite Baix Empordà coastal villages are the hub of the Costa Brava fishing tradition and lifestyle in its most prestigious area. 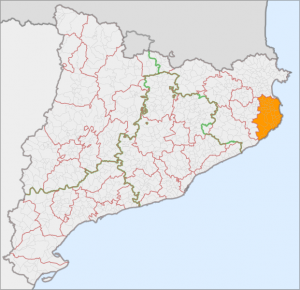 The Baix Empordà, which is the southerly half of the Empordà region of Catalunya, is located in the northeast portion of the Iberian peninsula. Inhabited since Paleolithic times, it has been under the control of Greeks, Iberians, Romans, as well the Crowns of Aragon and Aquitaine, and is currently part of Spain. 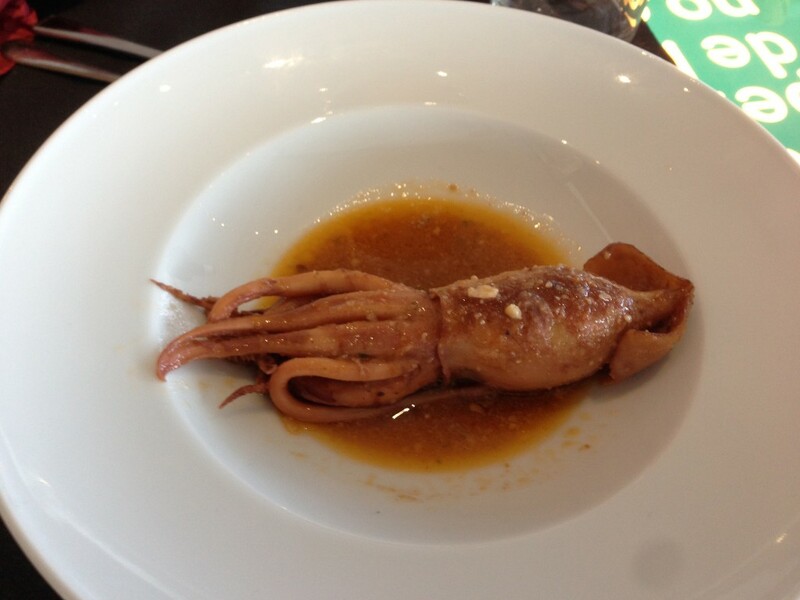 This is the center of Catalan cuisine, and its coastal area, the Costa Brava, its most prestigious tourist draw. We think the Baix Empordà is the perfect geographic combination in a dynamic drama whose protagonist is the Mediterranean. 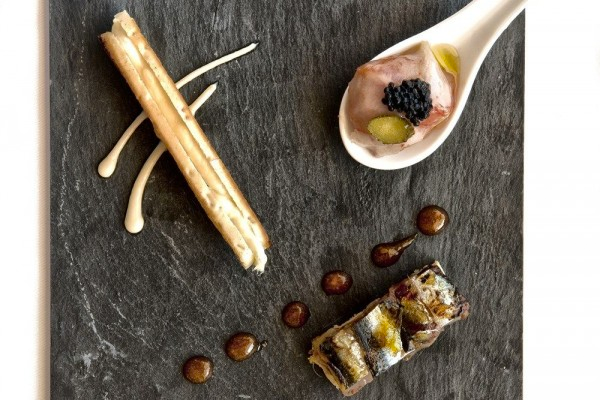 Today, Baix Empordà coastal villages are prime locations for gastronomic excellence, the centerpiece of which is not surprisingly the diverse variety of seafood here: sardines and mackerel, rockfish and sole, sea urchins, shellfish and clams. But the unique atmosphere is not just limited to food and drink, although they play a large part. We’ve talked before about the Catalan tendency to live in the now. In these villages, that vibe is tempered with an appreciative approach to both natural and manmade beauty. Each day is a world in full. You seek and eat the day’s catch and what the farmer has in season. You celebrate your family, friendships and the cycle of living. Life is simple, transparent and valued. 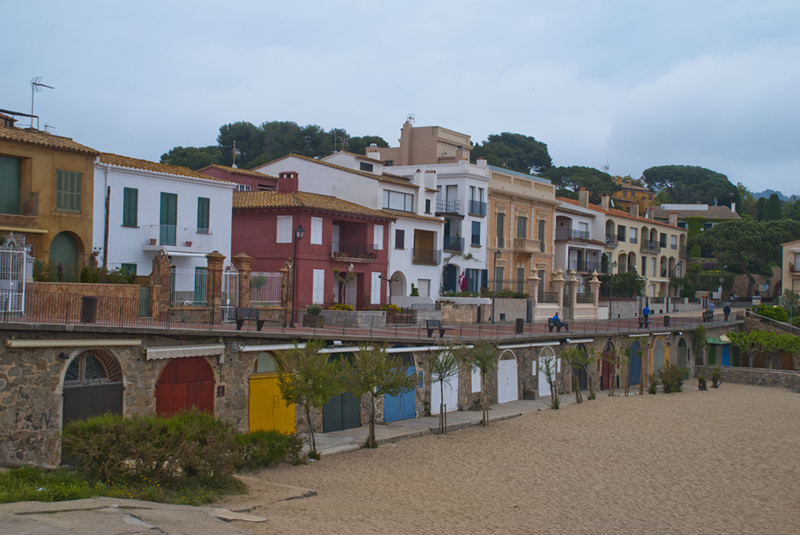 We were fortunate to become acquainted with more than a few Baix Empordà coastal villages during a recent visit to the Costa Brava. In this post, we bring you our favorites. Cradled in a nest of several hills called the Begur Massif, Begur incorporates medieval Esclanyà, whose 14th-century castle tower overlooks the village’s eight different sea coves. What differentiates Begur from its sister villages is a most intense cultural link with Cuba. In the 19th century, emigres from Begur – “Indianos” – made their fortune in Cuba’s New World plantation economy, which produced coveted cork for the burgeoning wine industry, and sugarcane for Europe’s growing sweet tooth. The Indianos returned to Begur to build magnificent villas, and influenced their hometown culture with Caribbean flavors. Each summer, Begur’s Festival of Music brings “havanera” style to life in a capella and accompanied performances. Rounding out the summer holiday season, its Festival de Indianos on the first weekend in September relives the infusion of Cuban elements in cuisine, crafts, and the arts. It seems like everyone in Begur claims to make its “best mojito,” and for that reason alone, it might become your favorite of the coastal villages in the Baix Empordà. Or if not, maybe the shopping? Walk with us down this fun typical street. Hotel Aiguaclara – see our full review here – in a returning Indiano’s 19th-century villa, is a charming boutique experience with an excellent restaurant and weekly havanera musical entertainment. 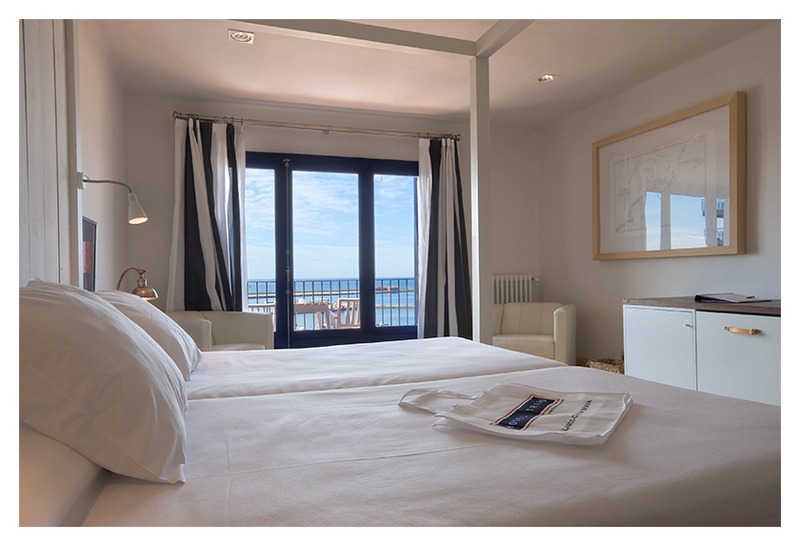 Hotel Aigua Blava – a four-star property located on beautiful Aiguablava beach, the hotel’s restaurant is a member of Cuina de l’Empordà, a consortium of restaurants dedicated to promote Costa Brava as a first class gastronomic destination. Founded in 1934, the hotel is now managed by the third and fourth generation of the same family. 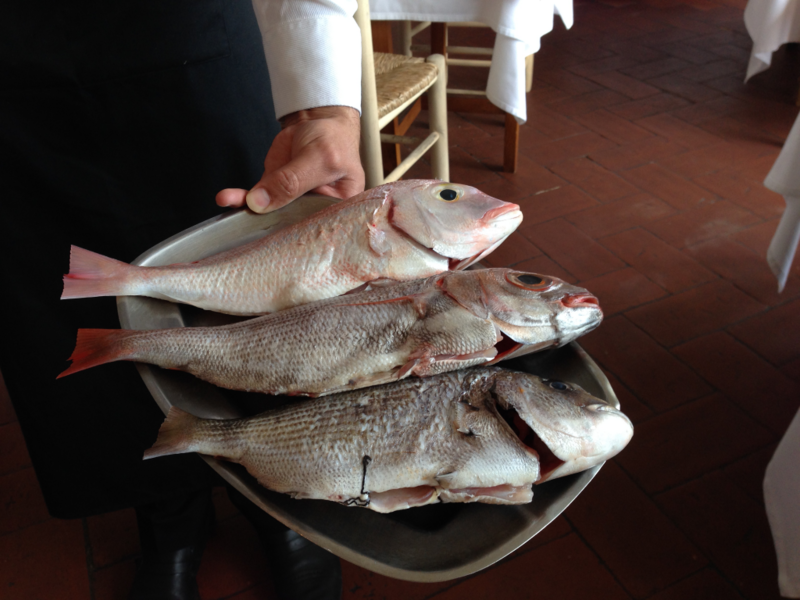 Rockfish was featured on the menu when we visited; the cliffside coves of Begur are ideal habitat for rockfish, with the season stretching from April through July. 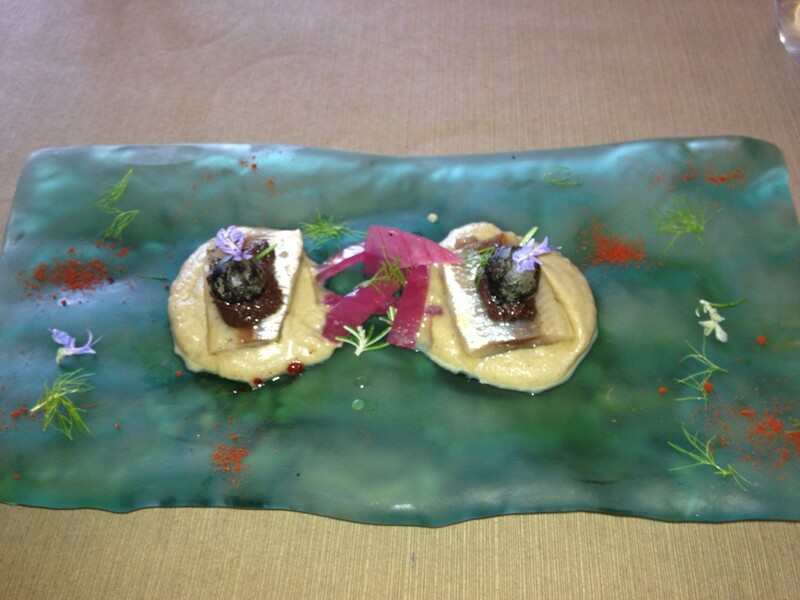 Turandot – an intimate restaurant with possibly the most innovative presentation we experienced in all of Costa Brava. 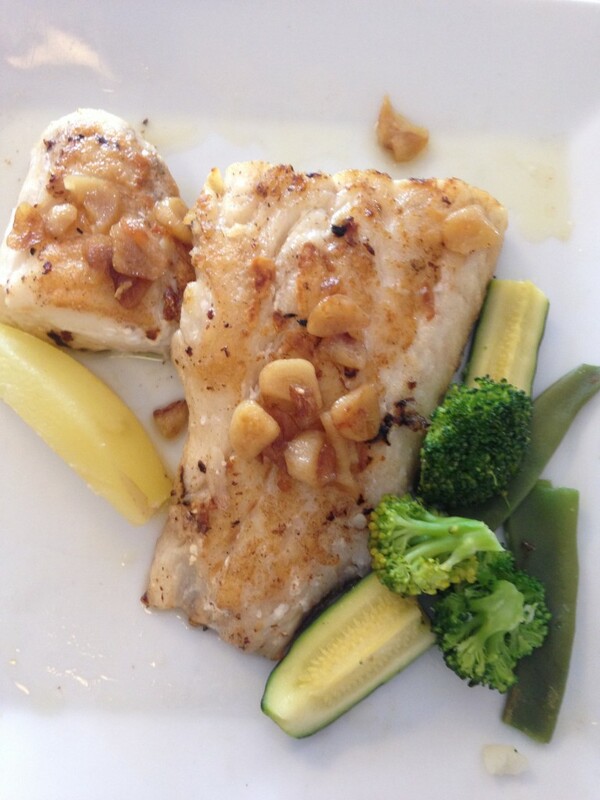 Owned by a young couple, its lunch and dinner menus hit just the right spot. 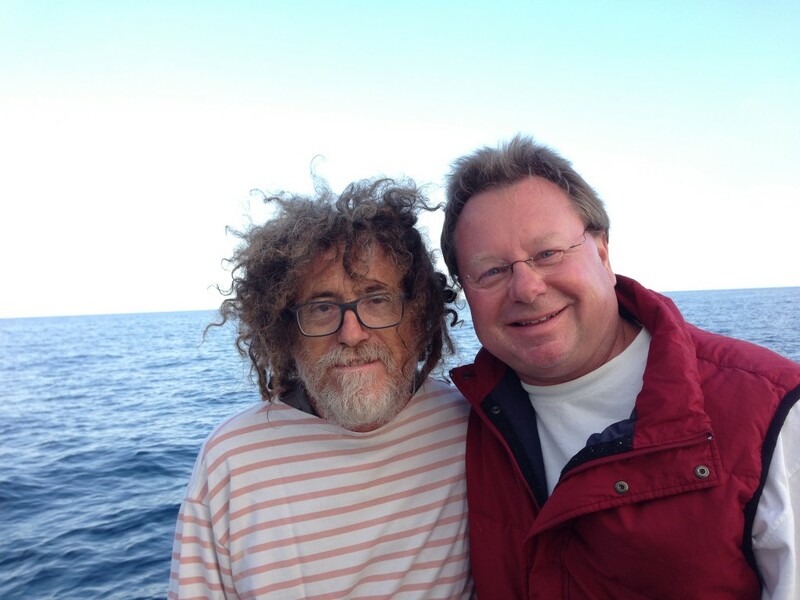 As an angler, Pete is all about the fishing, and Palamos is all about the fishermen. Its protected port is home to large and small commercial fishing operations with boats of all sizes. 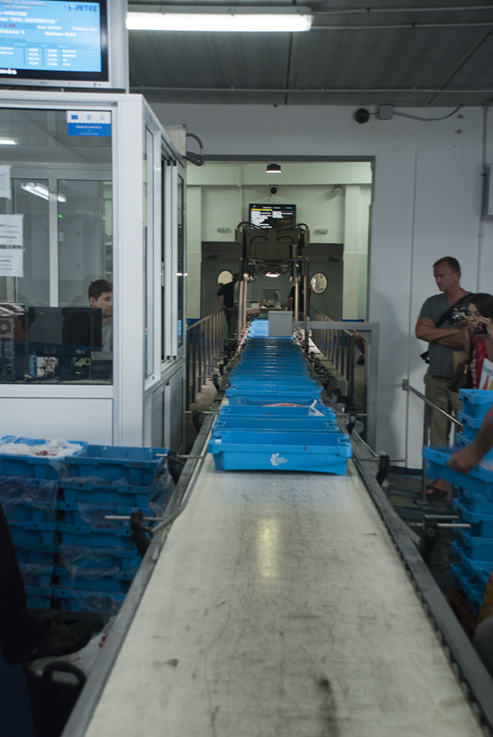 The day’s catch is sorted in blue trays even before landing, and then travels by conveyor to waiting bidders. 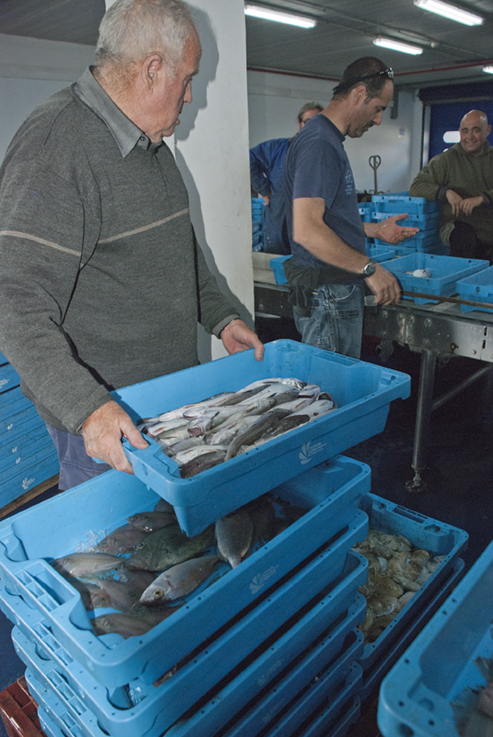 The auction at Palamos serves all the area restaurants and fish markets. Each tray gets quick bids from their reps and then is sent for packaging and pickup. Average time from off-loading to pickup is 2 minutes. You can’t get much more fresh than that! 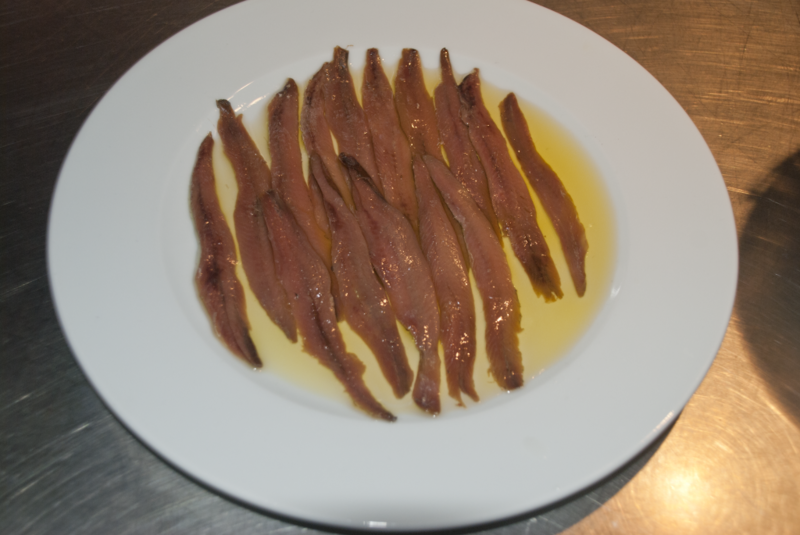 Above the fish auction is Espai del Peix, providing training for chefs on how to prepare seafood, creating new recipes for known fish and developing recipes for new species brought in by local fishermen. 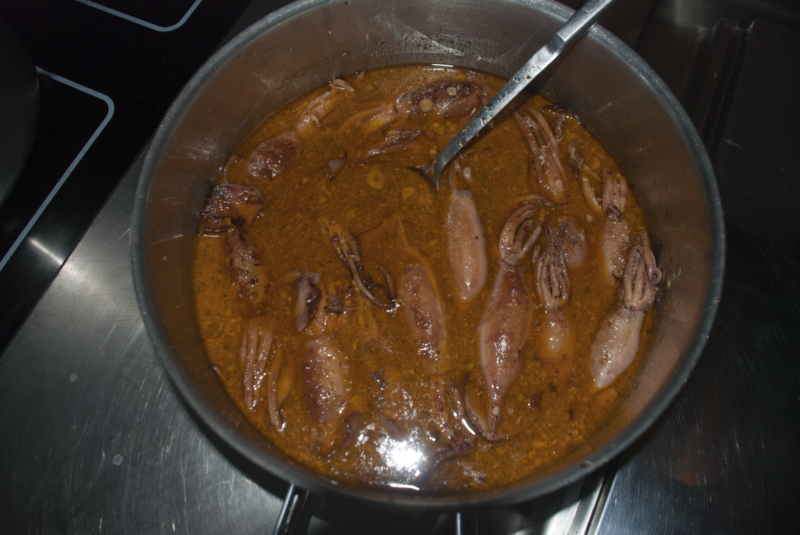 We were smack dab on top of the prawn and sardine season in Palamos, which runs May through June. Also worth a visit while in Palamos is Museu de la Pesca, The Fishing Museum, if you can stand to be off the water. 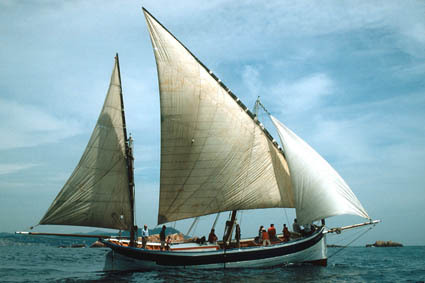 If you’d rather be with the other old salts, sail out in the traditional way with Tela Marinera on a vessel dating from 1915. Stay in Palamos at the hundred-year-old Hotel Trias, located on the port Promenade, with a star-struck history that includes guests Truman Capote and Ava Gardner. The horizon off L’Estartit is dominated by the Medes Islands, a protected seven-island archipelago about a mile off shore. With only about 1% of the entire Mediterranean under protection, the Medes Islands provide a unique and diverse vegetal and marine ecosystem for study and recreation. You can sail, snorkel, dive, and windsurf to your heart’s content! Those happy smiles above were due in part because we’d been fortified with an excellent lunch at Restaurant La Gaviota, considered by many to be L’Estartit’s best. The three star Hotel Medes II offers family-centered service and a comfortable location a half block from the beach. 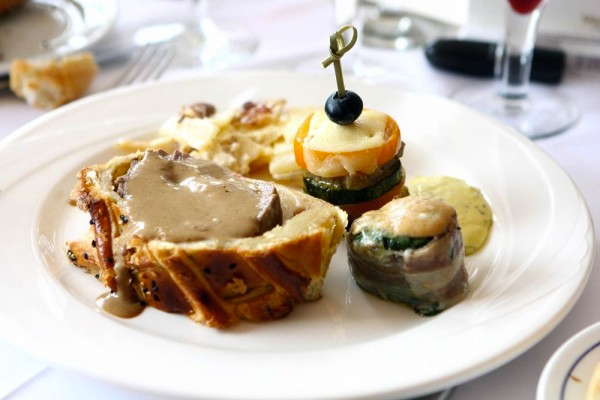 The hotel restaurant offers midday and evening fixed price and a la carte menus. 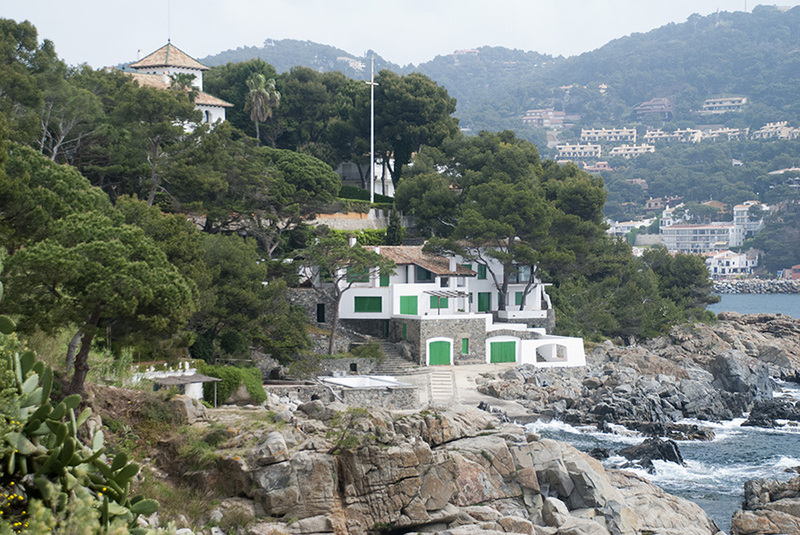 Palafrugell’s inland urban center is complemented by beachside communities (Llafranc, Callela de Palafrugell and Tamariu). Centered among Costa Brava’s most popular attractions, these communities offer events and cultural spaces that epitomize the modern lifestyle of Baix Empordà coastal villages. 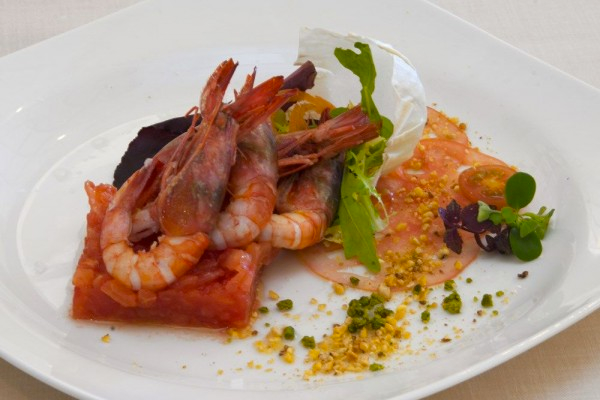 The annual Jazz, Spring and Garden Festivals, and the Garoinada (sea urchin) and Christmas gastronomic events enliven every season in this area. 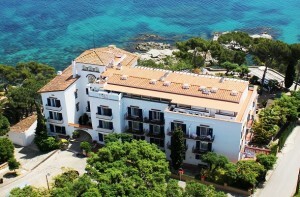 Hotel and Restaurant Llevant – adjacent to the Cami de Ronda walking route on the Bay of Llafranc. 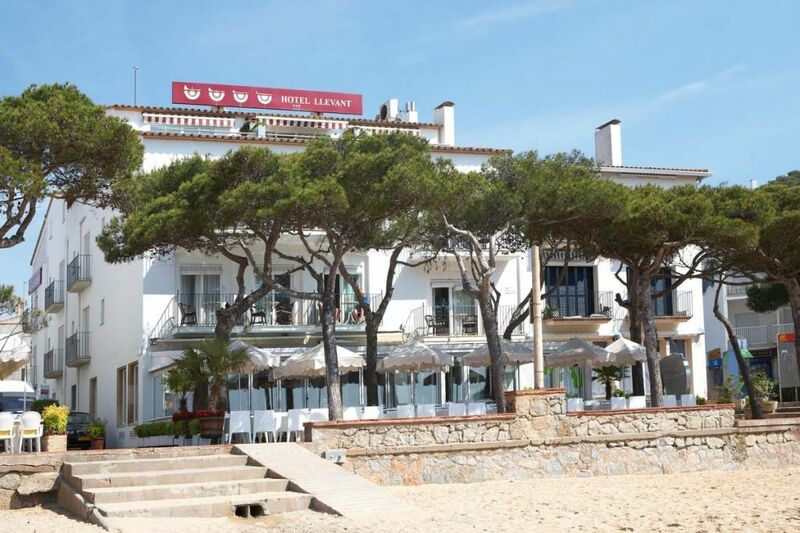 The restaurant, which opened in 1935, is situated on a seaside terrace and is part of the Cuina de l’Empordà consortium. Hotel Sant Roc – Located in Callela de Palafrugell, Hotel Sant Roc opened in 1955 to serve wealthy French and Catalan tourists who arrived en famille and stayed for the entire three-month summer season. Run by the third generation of the original family today, the hotel offers individual character rooms, suites, and family apartments, most with sea views. Disclosure: we were the guests of Costa Brava Turisme, who kindly arranged each of the Baix Empordà coastal villages experiences we’ve mentioned. As always, opinions are our own. i loved Begur too! Very pretty, great views, good restaurants & shopping. We felt we were s world away from city life in Barcelona. 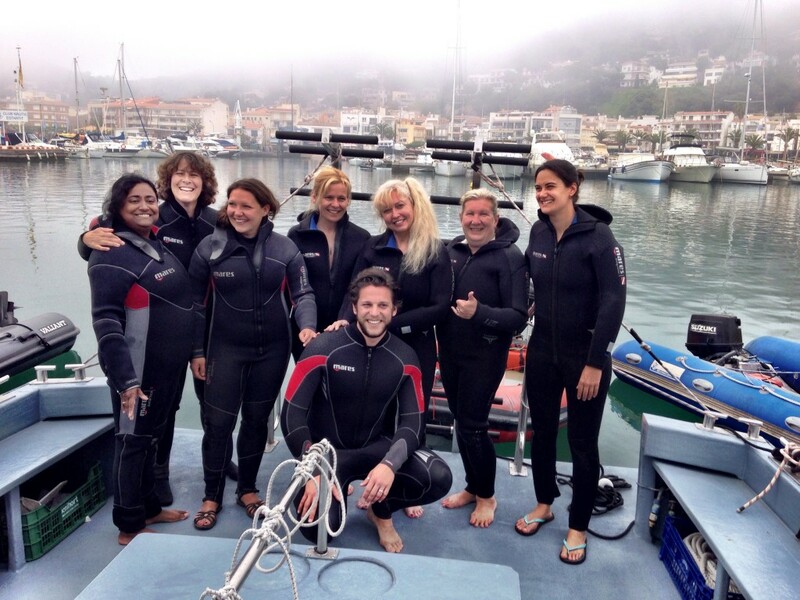 Hi Shobha – If I were to have to choose (and I’m glad I don’t because, as you know, I loved almost everywhere we visited in Costa Brava) a place to live long term, it would be Begur. Pete would choose Palamos. So then we’d be like Gala and Salvador, LOL. Hi Trisha – Oooh, I envy you! Can’t wait to see where you decide! Spain tops the list of my favorite countries to travel to, but I have yet to visit this region. I’m going to keep this information handy for future holiday inspiration! Hi Heather – Begur has conveniently posted a special mojito symbol sign outside of establishments which serve them so that you can duck in periodically and slake your thirst. Is that civilized or what? Oh guys you took me right back home! I am from Sitges, and been to Costa Brava numerous times, obviously 🙂 It is a beautiful part of the world! As a Catalan, thanks for sharing this and thanks for making an effort o write the names of the places properly! In catalan and with the right accents! Fantastic post and I’ll be sharing it! I just adore Spain but have yet to visit any of the coastal villages that you’ve highlighted. Looks like the hardest decision to make is how much time to spend at each one. They all look so lovely. Full of charm, enchanting people and delicious food. You always provide just the right amount of detail Betsy and Pete, thank you! Those food pictures have my mouth watering! Spain is such a wonderful country! I need to go back soon! 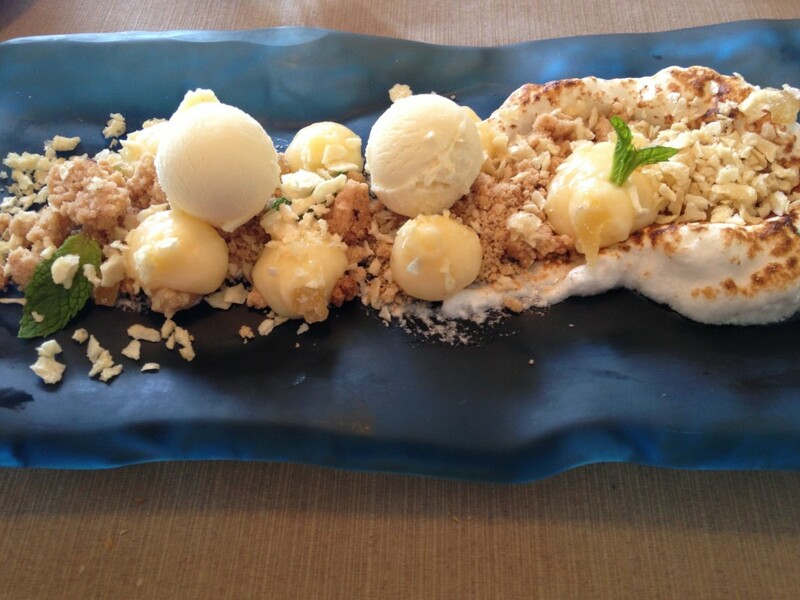 Hi Joe – The Baix Empordà has some of the best eating in the whole wide world. 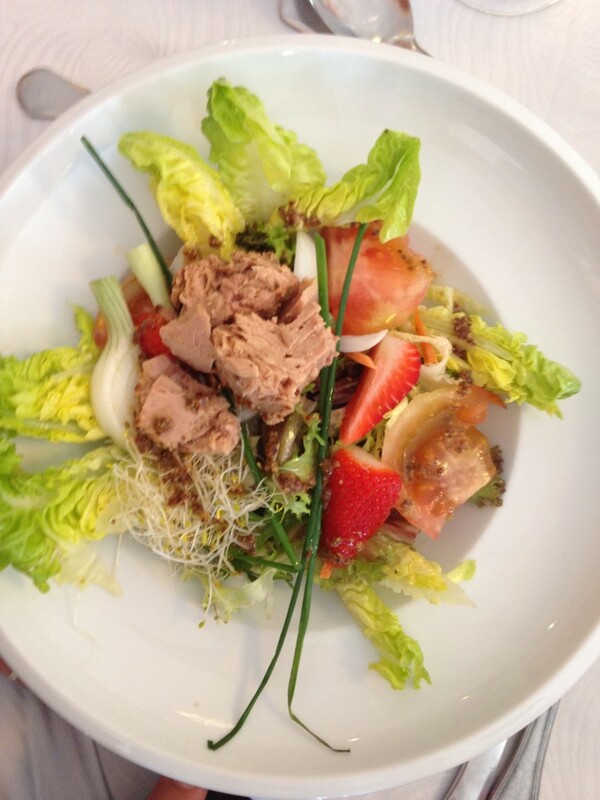 Quality, fresh, diverse and innovative. We need to go back, too! Hi Meg – The food truly was one of the most amazing aspects of this region. 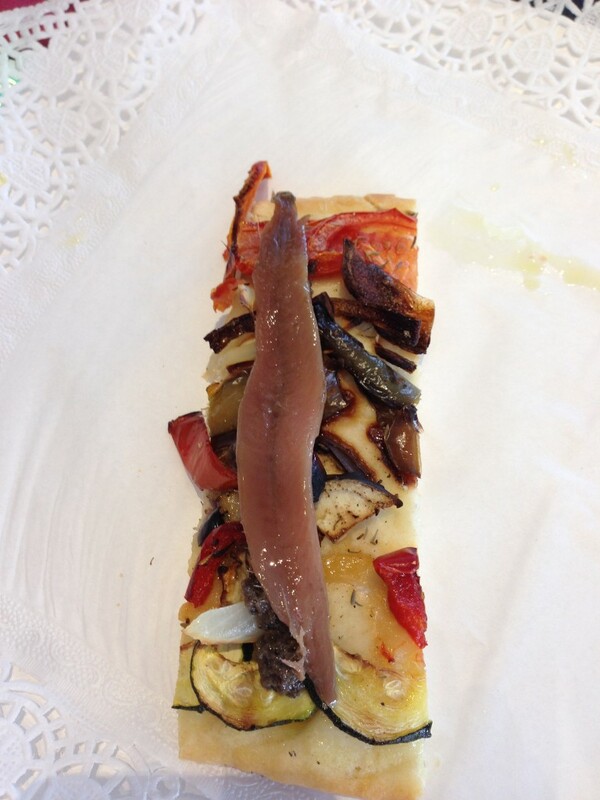 Total commitment to quality and artful presentation for pure enjoyment. Glad you liked it. I’d most definitely be with Betsy in the neoprene suit snorkeling! 😀 This place looks amazing, I’d love all of the fresh food; it’s always better when you can catch it for yourself. 🙂 I’m not sure about the stuffed squid but the dessert at Turanbot would be on my plate for sure!! Hi Dawn – Pouring myself into the suit was no small feat! But I’m glad I took the plunge. The Turandot dessert is one of my fondest memories. They called it lemon cake. It was much, much more. All of these villages look fantastic! 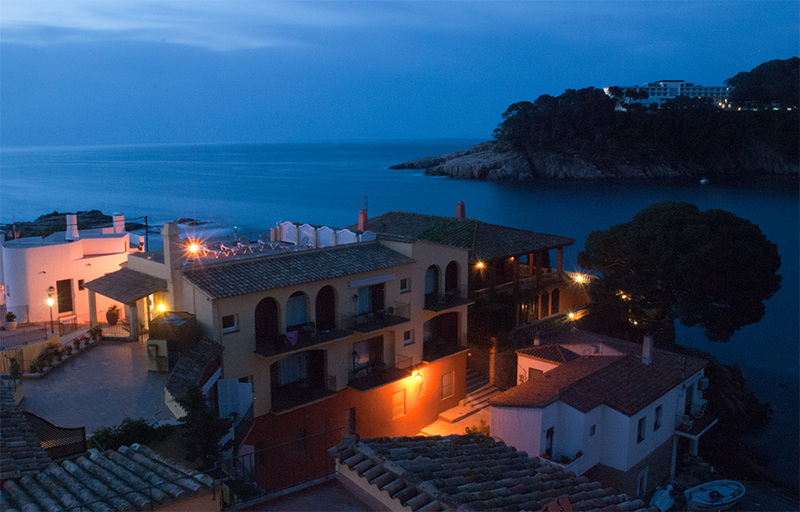 I would love to head to Costa Brava–I think Begur sounds amazing, especially the Begur’s Festival of Music. 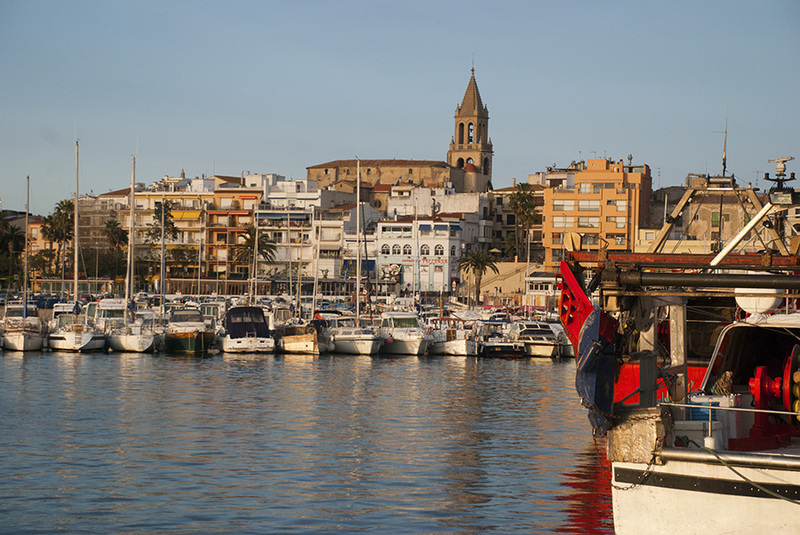 And, the photo of the port in Palamos makes me want to hop on a plane right now–gorgeous! Hi Jenna – There is so much going on in this region all the time. You’d love it for sure. 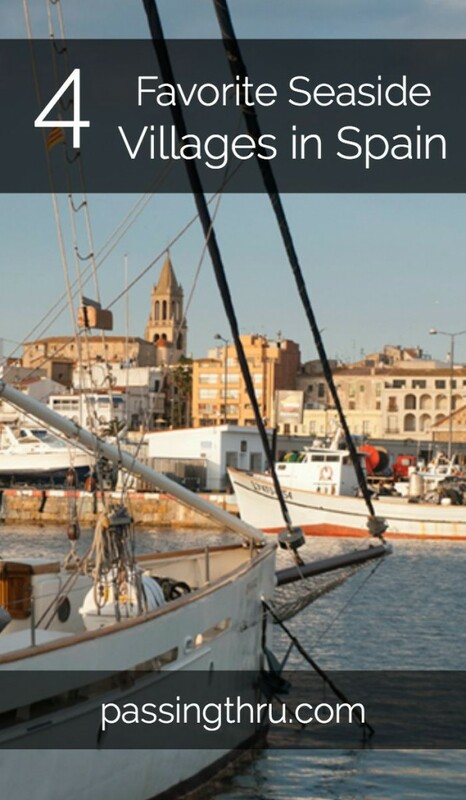 The 4 Baix Empordà Coastal Villages you’ve chosen look idyllic – and yay I’ve been to one! We visited Llafranc with our children about 10 years ago, and absolutely loved it. Your photos have made me want to return and discover more. A couple of years ago we spent 5 days in the Hotel Aigua Blava. It really was the the perfect position to explore the Baix Emporda Coastal villages. I have to agree with you Betsy…Begur was our favourite but Pete’s choice of Llafranc came in just behind! You’ve sparked the travel bug’s itch in me and made me want to return to Spain. Love the many villages you’ve introduced in this post — will add them to my ‘future’s list’! 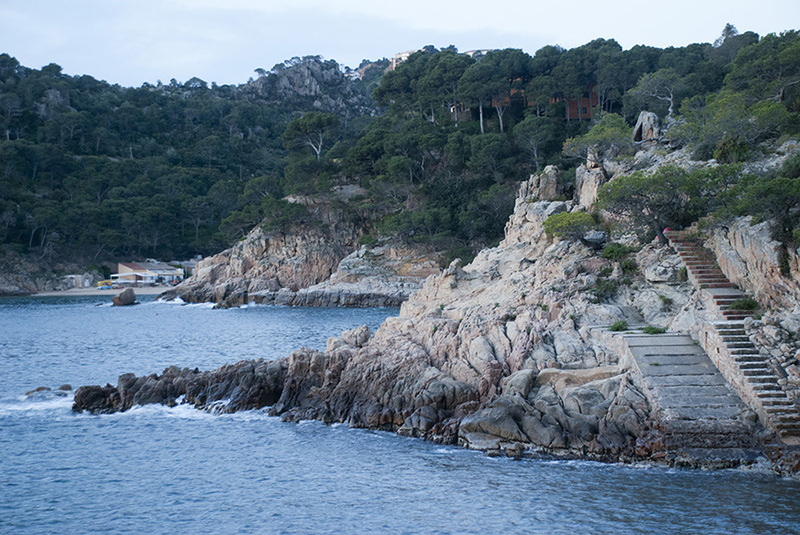 Your images make me want to visit all four of these sweet Costa Brava coastal villages. They would make a satisfying itinerary. We will be visiting Costa Brava next year, staying in Ametlla de Mar. I hope I can visit these winners nd runners-up and sample all the mouth-watering dishes at those fabulous places! You live such a charmed life, you two! These villages are seductive! 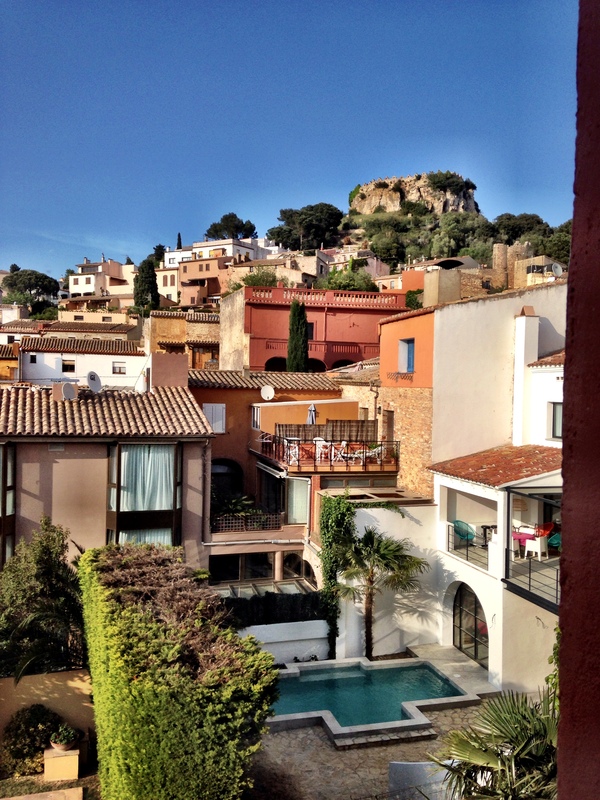 Begur really captured my fancy because I love the combination of medieval and modern. And the uncrowded streets in the video were sure appealing! Hi Irene – We were ahead of the main tourist season by about a month, so I’m sure there are many more people on the street then. But it’s a delightful time to visit, and you’d absolutely love Begur. I would love the Costa Brave- tempting looking food, interesting buildings and the ocean. What more could I ask for? Hi Billie – It’s got it all, really. And it seems quite effortless. One of our favorite destinations ever. All four of these Baix Empordà villages look delightful. The architecture of Begur particularly appeals to me. And I love the view of the sea from Hotel Aigua Blava. My sister and I love that region of Spain and have spent some time in each of the places you mention. Begun is a favorite and we also thought Turandot was excellent. A little over 2 years ago I exchanged my home for one is Palafrugell for 6 weeks and loved it there. Thanks for bringing back fond memories of the Baix-Emporda coastal villages. Hi Kay – oh, lucky you with six weeks! Wouldn’t that be wonderful! Isn’t the Baix Emporda wonderful! I think I liked the inland medieval villages better, just because they were quieter. I could see living there and visiting the coastal villages you mention here for an afternoon swim, followed by dinner and a mojito! Betsy, I just finished a new post about some of my favorite tastes from this area. I would be hard pressed to choose a favorite location. Each had their own charm and I found great food and hotels in each village I was lucky enough to visit with Pete’s group. If forced I think Begur and Hotel Aigua Blava would be the top. Hope I’ll get the chance to explore the coastline again (maybe at a bit slower pace). Hi Alison – It was really hard for us to confine our favorites to these limits, too. We’ve viewed this as an introduction for ourselves and intend to return for more depth.